Have you browsed our new Toyota or pre-owned vehicle inventory and now want to take home your favorite model from our Toyota dealership in Crystal Lake, IL? The next step in the car-buying process is financing, which is one of our many areas of expertise. Our friendly auto finance experts work tirelessly with our customers to get them into their desired vehicle, whether it’s a Toyota Prius or Toyota Tundra. And we work with all types of credit because we believe everyone deserves to drive a quality Toyota car, truck, or SUV.Want to save on your next vehicle purchase? We encourage you to take a look at our new Toyota incentives and pre-owned vehicle specials to see which Toyota model you can take home for less. Drivers in the Crystal Lake, IL area can also trade in their old car for additional savings. Use our Value Your Trade tool to get an estimate on how much your old vehicle is worth. Don’t let your monthly auto payment remain a mystery. Instead, take advantage of our payment estimator tool to calculate your monthly Toyota payment, based on APR, vehicle price, and other factors. Getting approved for auto financing is easy at our Toyota dealership in Crystal Lake, IL! 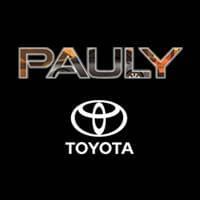 Stop into Pauly Toyota during business hours or fill out the easy-to-use online finance application to expedite the financing process. Contact a Pauly Toyota representative with any auto finance-related questions at (815) 459-7100 or through our online contact form.